With the many ads for the best dog bark collars, it can really be tricky to buy just one collar for your furry friend. You might be asking this question—what is the best dog shock collar? 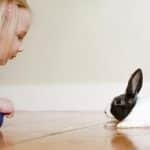 While there have been stories about shock collar training supposedly bad for dogs, keep in mind that shock collars are designed to deter negative or unsafe behavior as written in Canine Journal.com. Hollywood’s favorite pet guru Cesar Millan is one of those who believe that shock collars aren’t bad for use in dogs. He particularly says that the use of shock collar isn’t barbaric as some people tend to paint it. Have in mind that your dog being loud might be of some kind of discomfort. 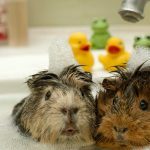 ​For example, he might be having fleas or his nails being too long and therefore having a hard time standing and walking. That is why using nail clipper or a grinder is very important, and in case he has fleas problem, use a shampoo made to make them go away after applying it just once! Normal dog shampoo will not be as effective. This could be the best shock collar for big dogs. It can help you correct bad behavior that your dog exhibits like aggression, chewing inappropriate objects, and barking at door bells. It comes with four modes (Shock, Light, Vibration, and Beep) with a huge LCD remote and adjustable shock. The LCD has a blue backlit design, allowing it to be used both at night and day. With its rapid charging lithium ion battery, you can be assured of a long lasting battery life. The unit also comes with a battery level indicator. The auto power protect mode helps conserve battery life when the collar is not in use. This shock collar can train two dogs at the same time, although you need to buy another collar for that purpose. The light and beep/alarm modes are ideal for not-so-stubborn dogs. For dogs that are hard to discipline, the vibrate and shock modes can work wonders. If you’re worried about your dog getting hurt from the use of a shock collar, then you need to check out this remote controlled dog training collar first. When you turn on the vibrate mode, for instance, the device softly shakes. It won’t hurt your dog but enough to get his attention when he does something you don’t like. There are different levels of shock that you can choose from, so you can lessen or increase the shock depending on your dog’s needs. The vibration mode, meanwhile, sends a strong vibrating sensation. This is mode can also discipline your dog and make it behave the way you want it to. If your dog isn’t that stubborn, you can start with the beep or alarm mode. Some customers who wrote shock collar reviews on Amazon.com, though, say the light mode is of no use. They argue that it doesn’t really get the attention of dogs. The range of signal of the remote control is 400 yards, which is good enough for most pet owners. Some very satisfied owners of this training collar have gone on to say that this is the best shock collar for small dogs. They say that it has a very long range, with variable shock and vibration levels. It is also waterproof. Among the other positives of this training collar with remote control is its ease of use and set up and affordability. This training collar features a long 1,312 yards of range, which makes it a great outdoor training tool. It’s very useful when training dogs out in the field, especially when they are far from use. And because it is waterproof, you don’t have to worry if your dog is out on the field. He could swim all he wants but this training collar will continue to work. It will also continue to work even if it rains. This training collar also doesn’t drain batteries that quickly. It has a high capacity, rechargeable Li-ion battery that only takes 2 hours to get recharged. Reviewers on Amazon.com say it would take 4-5 days before the battery gets drained. And because the battery is rechargeable, you don’t have to buy replacement batteries for this unit. Other reviewers are happy that this collar is very easy to set up. It would only take 30 seconds to 1 minute to get everything running. There are three modes in this collar—shock, vibration, and beep. And there are also different levels of shock and vibration that you can choose from, depending on how easy or hard it is to train your pet dog. Unlike the preceding training collar, the remote control of this unit appears to be very easy to understand/use. The manufacturer also gets good reviews for its excellent customer service, with several reviewers noting that they were able to have their defective units with the help of the customer support team. This could be the best cheap shock collar today. While it is very affordable, it doesn’t look and feel cheap at all. Many reviewers on Amazon.com have expressed satisfaction in buying and using this shock collar in their dogs. This electronic dog collar features a very simple and easy-to-understand remote control. There are only seven buttons in the remote control, so you should be able to operate it right away. You can adjust the vibrate mode easily by pushing the low or high options on the remote. The buttons are easy to press as well. With just two levels to choose from, you should be able to choose the right amount of shock and vibration for your pet. This collar fits dogs weighing 6 to 100 pounds. The collar size is from 6 to 24 inches long. The manufacturer backs it up with a 30 day money back guarantee and a 6 month replacement warranty. The battery of the remote control also doesn’t get drained easily. There are reviews from Amazon.com users who say that the battery’s life can last 2-3 weeks. The collar also has an auto-sleep function. It can detect movement of the dog. So when the dog is sleeping, it will also go into pause mode. As for the price, this is very cheap if you compare it with most of the training collars discussed in this review. However, it does have its share of flaws. One frequently mentioned complaint about this training collar is there is only one charger included in the package. So if you have to charge both collars, then that would divide up the charging time. Also, it only has two modes—shock and vibration. It doesn’t have a sound or alarm mode that is common in the other models mentioned in this review. But then again, this is a low-priced collar so you shouldn’t really be expecting it to be features-packed. This is a training e-collar that fits dogs of all sizes. While it isn’t the best in terms of range, this unit still gets excellent marks for its ease of use and set up, affordable price, and good battery life. This is a rugged collar that can stand up to rough outdoor play. You can stop worry about the collar not working when your dog is out there in the field. It is 100% rain resistant, so this collar would continue working even after a sudden downpour. Like the other training collars mentioned in this article, there are four modes available on this unit—vibration, beep, shock, and flashing lights. The collar itself fits sizes 7 to 6 inches, and dogs weighing 15 to 100 pounds. It is also very user friendly. The blue LCD screen lights up right away when you press the buttons. Switching on the device is also simple. When you first use it, though, you have to pinch the reset hole beside the charging hole. The remote is easy to use as well. It helps that the buttons are big and easy to see. The buttons also have a nice tactile touch. While the included instruction book is a bit confusing, many reviewers say they were able to figure out how to use the collar. Pairing the collar and the remote control should not take you a lot of time. Many reviewers on Amazon.com say they were able to pair it in less than a minute or so. There are also many shock and vibration levels that you can choose from, so you can opt for the right shock level depending on your dog’s needs. There is also a light mode that can assist your dog when he’s out in the field at night. This is another affordable dog training collar that you can consider if you are on a tight budget. It doesn’t have the best range but it does offer 16 levels of shock and vibration. The remote control only has five buttons, and color coded at that. This should make it a lot easier for you to adjust desired settings. The remote is very intuitive. Aside from having color coded buttons, the remote has a picture for sound, vibration, and shock. It’s designed for pet owners who have never used a training collar for their dogs before. The user-friendly design of the remote also makes it very useful during emergencies. Instead of having to go through a menu to adjust certain settings, you only have to press a button. The collar is powered by standard AAA batteries. This is a type of battery that you can easily buy from most stores. This unit doesn’t consume a lot of energy as well. The battery life is superb, with the collar and remote lasting weeks according to reviews. Plus, the collar is also water resistant thus there is no need to worry about the unit breaking down when your dog is outdoors and it suddenly rains. This dog training collar, however, isn’t ideal for outdoor training. With a range of 300 yards, this isn’t the best when it comes to training dogs who like to go out in the field. It also appears that this is not the most durable dog training collar around. Some reviewers on Amazon.com complain that the plastic washers connecting the collar to the unit will break after a month or so. Despite those flaws, this collar still gets positive reviews for its affordable price. It is also very easy to use and set up. Budget-conscious pet owners looking for a low-priced dog collar training system can include this Bark Solution collar in their short list. This collar training system is very affordable, yet it is well-made and easy to use. The lack of a light indicator that would tell users when to replace the batteries is a major concern, but not enough to deter users from giving it a high rating on Amazon.com. As the name suggests, this collar can teach your dog when not to bark. It can distinguish your dog’s bark from other environmental noises. Instead of hurting your dog, it increases sound and vibration to your dog to discipline him. This is very easy to use as well. It doesn’t come with a remote control, though, unlike most of the collars in this list. However most reviewers say they like it—they don’t have to fumble in operating a remote control. You simply have to wrap this around your pet’s neck. Set the collar’s intensity level accordingly. There are seven intensity levels that you can choose from. The device will give off a vibration to your dog when he barks. This should discipline him and deter him from barking again. If you’re only concerned about your dog barking almost every minute, then this is the collar that you should get for him. Since this a collar for training dogs who like to bark a lot, this is obviously not the device you would want to discipline your pet for other unwanted behavior like aggression. And as mentioned earlier, some reviewers wished that this collar comes with a battery life indicator. Along with the Pet Resolve dog training collar, this shock collar from PetSpy has one of the best ranges. You can use its remote even if your dog is up to 1,100 yards away from you. It also comes with four training modes—shock, vibration, light, and beep. There are eight adjustable levels that you can choose from, depending on how easy or hard it is to discipline your dog. And like other top rated dog training collars in the market, this training collar is both rechargeable and water proof. Many satisfied owners on Amazon.com have written about how long the batteries of the remote and the collar last. Some say that the batteries can take 5 days and even to a week. There are 8 adjustable levels of vibration and shock that you can choose from when you use this training collar on your dog. Most reviewers suggest using the vibration and beep modes first before opting for the vibration mode. The latter should be considered as the last option for disciplining stubborn dogs, they say. Others are raving about the range of this unit. They say that this is the ideal dog collar to have when training your pet outdoors. As mentioned earlier, this collar has a very impressive range of 1,100 yards. The remote, too, has no trouble working even if you are separated from your dog by walls. The collar is also water-proof thus it should continue to function even after a sudden downpour. Some reviewers on Amazon.com have noted some flaws in the design of the remote. They say that the mode button can be easily pressed when you put the remote control in a pocket. This can cause unintentional changes in the setting of the unit. This is another reasonably priced rechargeable electric collar that you might want to get if you want to train your dog. Since the collar itself isn’t waterproof, this may be something you want to use in training your pet indoors. This is a collar that you can use for small to large dogs weighing 15 to 100 pounds. It’s something very useful for basic potty training, or disciplining dogs that bark a lot. The range is quite limited at 200 yards but then again, the manufacturer designed it for training dogs indoor. There are six levels of intensity for the vibrate mode while there’s just one level for the shock mode. The latter is to be used as the last resort in disciplining a very stubborn pet. The remote control features a very simple layout, with 7 buttons for adjusting shock and vibration levels. It is user-friendly as well, without the need to toggle or switch buttons to deliver the correct vibration or shock. The remote control is very durable with one Amazon.com vouching for it. He said his remote control had flown off down the road. It sat there for two days and exposed to the rain. But it still continued to work after he found it on the street. The collar uses a rechargeable battery while the collar has a 9v battery. Both units don’t use a lot of battery; most comments on Amazon.com suggest that battery life can extend past a week or so. However some Amazon.com reviewers have commented that the buttons are quite small for their fingers. Others, on the other hand, say that the lack of instructions that come with the product disappointed them. Like most of the products discussed in this review, the Esky LCD Shock Control Pet Dog Training collar presents a safe and humane way of training dogs. It has three modes—beep, vibration, and shock. Vibration and shock modes have 100 levels while beep only has one intensity level. According to reviews on Amazon.com, the vibration at 1 or 2 is enough to get the attention of most dogs. Others turn to the shock mode when the vibration mode isn’t enough to discipline their pets. The collar fits most dogs’ necks. It is also extremely user friendly and very easy to set up. It is made of durable matte material, and thus should be comfortable for most dogs. The remote control features a clear LCD backlit display, making it ideal for use at night. Plus it has a bright orange color that it is almost difficult for you to lose it. And with a flashlight option, you can bring this for those night walks at the park. However some people think that the remote control is a big too big for them. They say their dogs have shown interest in playing with the remote given its size and color. Both the collar and the remote control are powered by a rechargeable battery. Most Amazon.com reviewers are pretty satisfied with the battery life of both units. It would take around 3-4 days of use before the batteries get drained. There are 100 levels for both the shock and vibration modes. Reviewers on Amazon.com agree that both modes are not that strong to hurt a typical dog. The collar can withstand light rain but it should not be worn by the dog if he is to bathe or swim. Submerging it in water will damage it. This dog training collar is ideal for both indoor and outdoor use, although it doesn’t have the best range. It has three modes—beep, vibrate, and shock. There are 100 levels to choose from in the shock and vibrate modes. The remote can control up to two collars. Although there’s only one collar included in the package, you can still buy a separate one if you are to train another pet with this device. The collar size is adjustable and should fit small, medium, and large dogs. It is made of durable nylon, and can be adjusted from a length of 14 to 24 inches. Both the remote transmitter and the collar receiver are powered by rechargeable lithium batteries. The battery life is pretty impressive as well. Most reviews suggest it would take more than a week for the batteries to get drained. This collar comes with a power saving design, with an automatic standby mode. When your dog is sleeping, it would automatically go into sleep mode thus conserving battery life. The collar is made out of a woven nylon strap. It won’t easily come off with its clip in style buckle. The collar receiver is water resistant but not waterproof as advertised by the manufacturer, though. There have been comments on Amazon.com saying that the collar eventually stops working when exposed to water. The remote also has a bright blue backlight, so you can use this when walking your dog to the park at night. It is also designed to be user-friendly, with raised blue buttons so you can easily operate it. However it doesn’t have a hook or loop so that it can be carried with a lanyard. That would have made the remote control a lot easier to carry for most dog owners. 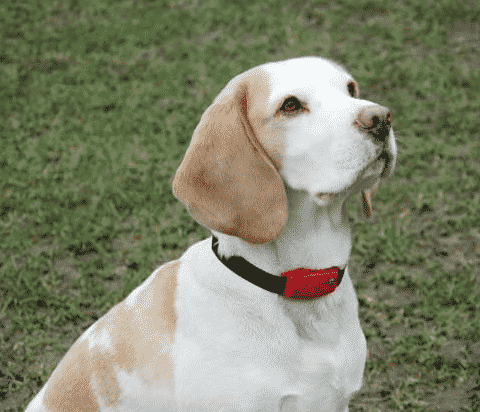 Rounding out our list is this anti-bark collar from Naturepets. It has 7 sensitivity levels for small, medium, and large dogs. It is safe and effective for use in dogs. It sends harmless warning shocks through the collar receiver when your dog barks. This should discourage your pet from barking. If your dog continues to bark, the collar will increase the intensity of the waning shocks. It would stop sending those warning shocks when your dog stops barking for 30 seconds. But for your dog’s protection, the shock will stop for 1 minute if your dog continues to bark even when the intensity has reached the 7th level. This is another user-friendly dog collar. You can simply slip it around the neck of your dog, and it is ready to use. You can also decide how much vibration or noise from the dog that the collar will ignore before it begins to give warnings. You can do that by adjusting the sensitivity panel found on the collar receiver. Many reviewers on Amazon.com have been vouching that the shocks aren’t that terrifying or painful. Some of them describe the shock as a little tingle, so they were convinced that their dogs won’t get hurt when they put the collar on their necks. This is obviously a dog collar that’s only designed to deter dogs from barking incessantly. If you have a dog who likes to bark at almost everyone then this is the unit that you should get. This is not a dog collar that you can use for behavior modification, like discouraging your dog from being overly aggressive, or chewing on an appropriate item. However there have been some negative comments about the battery life of this dog collar. Not a few reviewers on Amazon.com feel that the battery life of the collar is rather short. Others also complain about the flimsy battery compartment of the unit.